One of Temple and Farringdon Together‘s key election pledges was to press for new and better Court facilities in the Square Mile. Today’s announcement has brought that ambition closer to reality. The proposed new combined court will see a new, state-of-the-art, multi-purpose replacement court for the historic civil court, the Mayor’s and City of London County Court, and the City of London Magistrates’ Court. Located in the Fleet Street area of the City, the court would create space for 18 courtrooms. The Court’s primary focus will be as a Crown Court hearing fraud, economic crime and cyber-crime cases, but it will also hear other criminal and civil cases, including the work of the City of the London Magistrates’ Court. Please use your 10 votes to support the Temple and Farringdon Together team. If you have received a postal ballot and haven’t yet returned it, please deliver it by hand to your nearest polling station before 20:00 today. If you do not have a postal vote, you may vote in person today from 08:00 to 20:00. If you are inside Temple you need to cast your vote at Pegasus Bar, all other voters must cast their vote at St Andrew’s Court House, by Holborn Circus. “What makes Temple & Farringdon Together different? But we are also acutely aware of the importance of being accountable to voters and the wider community – particularly against the back drop pf current economic and political challenges – and of course BREXIT. We are a diverse and varied group from different backgrounds, all with a genuine interest and commitment to the City. With many candidates standing for election in the same Ward making a differentiated and objective voting decision can sometimes be difficult. By standing on a united platform of Temple and Farringdon Together, we hope you will know who we are and what we stand for when voting tomorrow. So, who are we and what makes us worthy of your vote? We are 6 current and established Councillors with a strong track record which speaks for itself; and standing for election for the first time are 4 well respected Temple Barristers. Can I firstly introduce our current Councillors. who are all successful business owners in Smithfield Market and are highly respected by their colleagues and residents in the Smithfield area. They are committed and hardworking Councillors, not only representing the interests of Smithfield but the Ward as a whole. For example, Paul, along with Wendy Mead and Edward Lord (our other current Councillors on the TFT team) lead the campaign to reverse the decision to close Tudor Street. They advocated fiercely alongside our new Alderman Gregory Jones and with the support of Oliver Sells QC. George, John, Greg & Paul are all proactive on various committees and their dedication to the City is backed up by commercial experience and Not For Profit public service. Wendy Mead – was prominent in saving Bart’s Hospital from closure. She serves on and Chairs a number of committees and unsurprisingly has been elected to the senior role of Chief Commoner which commences in April. Edward Lord, our last but not least, serving Councillor is a City resident and has been a strong advocate of ethics, equality and diversity and better governance and transparency in the City. He is a non-executive director for several companies and public bodies & magistrate. Then there are 4 of us new comers to the elections, albeit not new to our Ward! Caroline Addy – member of 1 Brick Court specialsing in media, defamation, privacy and harassment – is a friend of the Refugee Council, volunteer defence council for students of her Inn was also involved in the Commonwealth Press Union Legal Advice Scheme. Will Upton – member of 6 Pump Court and specialises in planning, environmental and local government law. Will promotes sustainable development and better environmental quality. He has served on the UK Environmental Law Committee and serves on the committee of the Local Government and Environment Bar Assocation. Ruby Sayed – member of 1 Pump Court specialising in Family and Children Law. Entrepreneur and run 2 small business in the hospitality sector and renewable energy infrastructure finance. Chair of Asian Women’s Resource Centre and Bury St Edmonds’ Women’s Refuge. I have campaigned for 20 years for the rights of Women and Children. Between us, we bring a wealth of experience, individual strengths, skills and expertise, which we believe will serve our constituents and the City well. Together we believe we can make a real difference in representing the diverse communities in the City. We want all of our constituents to feel included and be included. We will stand up for and champion fairness & transparency – equality & diversity. We hope you will find us approachable, down to earth and easy to talk to. We hope you will feel confident to come and talk to us about issues that affect you. If elected, we promise to listen; and do what we can to help – be a voice for you and represent you to the best of our abilities. We will consult with you on important issues so that your views are properly and fairly represented. You will have all received our booklet – this was prepared after consulting with both residents and workers in this area and identifying some of the main issues affecting us all. Addressing traffic, transport & congestion issues! – ensuring that the City is accessible to all, especially to people with mobility issues and other disabilities. Fighting to keep business rates reasonable so that large and small businesses can thrive and co-exist. Having Courts that are accessible and fit for purpose. Promoting London’s 3 wholesale markets and ensuring that they are supported and sustained. We want to have an improved recycling service for residents and businesses alike which are workable and economically viable. We want to ensure and continue fighting for proper access to the Temple. Traffic and congestion is a major issue. We will address this by pressing for greater controls and better planning of road works – and the introduction of consolidated deliveries to businesses in the City to ensure that white vans and HGVs do not block our streets. We do not support all vehicles being banned from the Bank area, in particular taxis and blue badge holders. This is not a sensible solution because the area needs to be accessible and user friendly for all – by both private and our public transport system. Air pollution is another big issue and Wendy Mead has already introduced a low emission neighbourhood – but more needs to be done. We will work with the Corporation and consult with you on what further action can and should be taken. Businesses and resident suffer with poor broadband speed and limited WIFI infrastructure. We welcome the news that the Corporation has entered into new contracts to improve these but will push hard for this to be implemented in the City as soon as possible. We will be calling for enhanced primary and urgent care facilities to be implemented at Bart’s Hospital. We also support investment for those in need, from more housing, investment in education and improved social care for children, young people and adults. The Prime Minister has prioritised tackling domestic violence and we will be re-enforcing the need for prevention and more protection for all victims of domestic abuse. We will press the City to fund emergency refuges and support services for victims of all genders and ages. Temple and Farringdon Together intends to work with the Corporation to assist Government in ensuring that London remains THE dominant global economic platform. Ahead of tomorrow’s City of London election in the Ward of Farringdon Without, voters have the opportunity today to meet all twenty two candidates contesting the Ward’s ten council seats, including the Temple and Farringdon Together team. The Wardmote, a formal gathering to which all of the Ward’s electors have been invited, takes place at 12 noon today, Wednesday 22 March, in the Church of St Andrew Holborn, on Holborn Circus. With traditional City ceremony, an Alderman will kick-off the election process and the candidates will be given the opportunity to speak and answer questions from registered voters. The Temple and Farringdon Together team will be introduced by Ruby Sayed who will speak on behalf of all ten candidates. Questions will be fielded by the most relevant candidate, depending on the subject. We hope as many electors as possible will attend this important occasion to meet and question their council candidates. The Temple and Farringdon Together team have made the front page of the City of London’s local paper, City Matters with the news that our ten candidates have formally joined up to offer a diverse and experienced slate to electors in Farringdon Without. The team has broken the mould in City elections by registering with the Electoral Commission to allow the candidates to be identified on the ballot paper as part of Temple and Farringdon Together. “We are proud to be giving the people of Farringdon Without the opportunity to vote for a united team of six established local councillors and four leading Temple barristers, offering huge and varied experience. By officially badging the slate as Temple and Farringdon Together we are hoping to make it easier for voters to know who we are and what we stand for. The City of London Corporation has a long and proud history of supporting the vulnerable as one of the earliest providers of council housing, social care for the elderly, and education for the young. The Temple and Farringdon Together team support the Corporation’s modern-day investment in providing 3,700 new homes in London and in education through the City of London Academies, as well as pressing for continued improvement in social care for children and adults in need. The City Corporation built its first tenaments in the 1870s, and now has over 2,800 social housing units on eleven housing estates in the City, Hackney, Islington, Lambeth, Southwark, and Tower Hamlets. The Corporation plans to build around 700 new social homes on its existing estates and 3,000 affordable homes on its other land around Greater London. The City’s earliest interest in education began in 1442 when John Carpenter, a former Town Clerk, bequeathed some land to the Corporation to pay for the maintenance and education of four poor boys. Over the subsequent centuries, the City supported the independent Christ’s Hospital and King Edward’s School Whitley as well as founding the City of London School, City of London School for Girls, and City of London Freemen’s School. In the maintained sector the City has one primary school, Sir John Cass in Aldgate, and since 2003 has been an Academy sponsor in inner London. The City’s Academy group when complete is expected to include three primary schools, seven secondary schools and a sixth form centre. 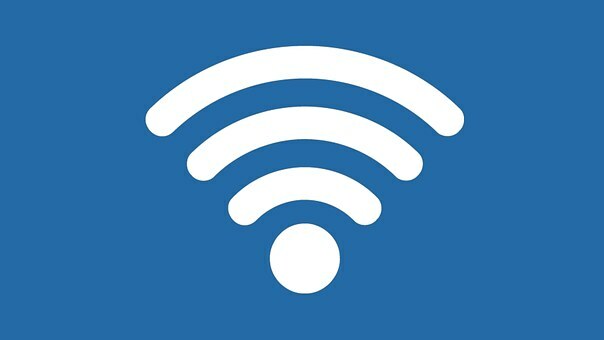 Temple and Farringdon call for a more connected City: roll-out improved Wi-Fi city wide now! Whilst we welcome the news that the City Corporation has entered into a new contract with a wireless infrastructure provider to upgrade the City’s mobile Wi-Fi capacity, it is being rolled-out too slowly and is starting in the east of the City in Bishopsgate. Temple and Farringdon Together will also work with the Corporation and Openreach to swiftly enhance the City’s broadband speeds which are still woefully slow. All of whom can be identified on the ballot paper by the description “Temple and Farringdon Together“. The 864 postal voters in Farringdon Without have until Thursday 23rd March to get their ballot paper completed and returned to the Electoral Services Office at Guildhall. They can also be hand delivered to either polling station before polls close at 8:00 pm on March 23rd. Temple and Farringdon Together are joining the worldwide call to be bold for change on International Women’s Day, 8 March 2017, to help forge a better – a more inclusive, gender equal world, where there is more justice for all. T&FT’s Caroline Addy, Wendy Mead OBE, and Ruby Sayed all have strong records as champions for equality and diversity and in standing up for the rights of women in the workplace, at home, and in public life. At a time when the place of women and other marginalised groups in society are under increasing threat from political change and economic uncertainty, Temple and Farringdon Together stands shoulder to shoulder with those calling for greater social justice and equality. “I have campaigned for women and children’s rights throughout my career and today, on International Women’s Day, I am proud to be standing for election as part of a team that believes in an open, inclusive, and tolerant society. “We are so proud to have three fantastic women role models on the Temple and Farringdon Together team in this election. Caroline, Ruby, and Wendy are inspirational advocates for equality and electing them will show the world that we are bold for change in the City of London.